7 For thus says the Lord: “Sing aloud with gladness for Jacob, and raise shouts for the chief of the nations; proclaim, give praise, and say, ‘The Lord has saved his people, the remnant of Israel.’ 8 Behold, I will bring them from the north country, and gather them from the farthest parts of the earth, among them the blind and the lame, the woman with child and her who is in travail, together; a great company, they shall return here. 9 With weeping they shall come, and with consolations I will lead them back, I will make them walk by brooks of water, in a straight path in which they shall not stumble; for I am a father to Israel, and Ephraim is my first-born. How do you feel these Israelites should respond to God? This reading is about God’s promise to console and deliver his people. They were a remnant in the land of the north, blind and lame, and they departed in tears. Pope Francis said new policies and new forms of social consensus are needed to eliminate new global forms of slavery, born of grave injustices. What does/can your parish or office or family do to fight the poverty? How much progress has been made in this area in so many parts of the world! How much has been done in these first years of the third millennium to raise people out of extreme poverty! I know that you share my conviction that much more still needs to be done, and that in times of crisis and economic hardship a spirit of global solidarity must not be lost. At the same time I would encourage you to keep in mind all those people around us who are trapped in a cycle of poverty. 4. Is there anyone in your life who just needs the road “leveled out” a little? If you help, how is this good for you as well as that person? Does self-giving help bring about the reign of God? Why do you think God has such intense concern for the poor and needy of the world? How does this passage in Hebrews describe a priest’s primary role? “He is able to deal patiently with the ignorant and erring, for he himself is beset by weakness.” How would the experience of weakness help someone minister to others? Do you think Jesus’ human experience and suffering draws people to him? Why? Baptism makes all of us ministers of the reign of God. Think about Moses, Peter, Paul, St. Augustine, St. Damien, St. Thomas Aquinas and others. Discuss how weaknesses can help make good ministers. 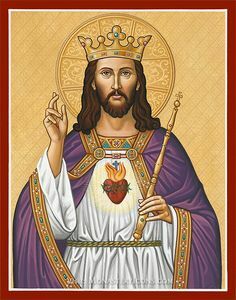 49 And Jesus stopped and said, “Call him.” And they called the blind man, saying to him, “Take heart; rise, he is calling you.” 50 And throwing off his mantle he sprang up and came to Jesus. 51 And Jesus said to him, “What do you want me to do for you?” And the blind man said to him, “Master, let me receive my sight.” 52 And Jesus said to him, “Go your way; your faith has made you well.” And immediately he received his sight and followed him on the way. Besides physical blindness what signs of blindness do you see in society? How do you respond to other’s blindness? What steps would you recommend for assessing the degree of one’s own blindness? How can we cultivate our faith so that our petitions to Jesus are faith based? The disciples were trying to shut up Bartimaeus. But he kept calling out to Jesus anyway. What do you do when others tell you to keep quiet? In the history of the Church can you think of great scientists and theologians who were silenced? “Master, I want to see.” What is it that you want to “see” that will change your life as radically as Bartimaeus changed his? 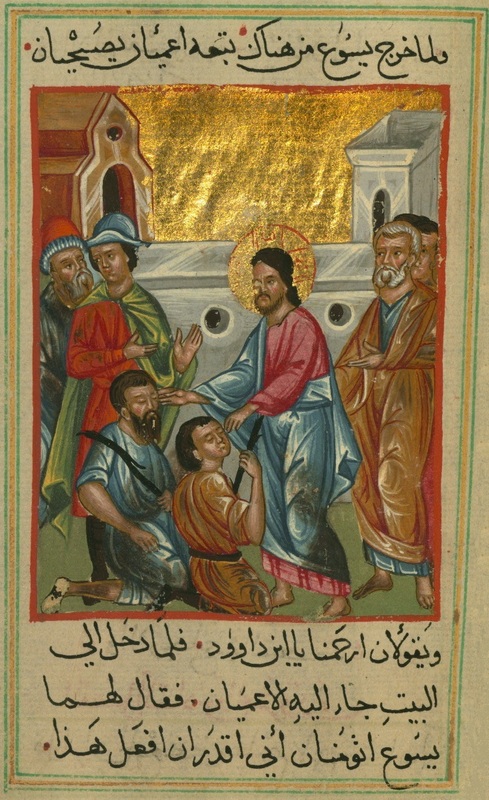 Do you recognize Christ in our midst today as Bartimaeus did? How open are you to the working of the Spirit in your life? 10 Yet it was the will of the Lord to bruise him; he has put him to grief; when he makes himself an offering for sin, he shall see his offspring, he shall prolong his days; the will of the Lord shall prosper in his hand; 11 he shall see the fruit of the travail of his soul and be satisfied; by his knowledge shall the righteous one, my servant, make many to be accounted righteous; and he shall bear their iniquities. How many aspects of salvation can you discover in this passage? Which aspect of salvation is most meaningful to you? Do you suffer with the loved one, who is suffering? Would you take the person’s place if you could? Does God act in this manner in the suffering of all human beings? “Do this in memory of me.” Is this an invitation to join Jesus’ suffering and participate in his redemption of the world? Can God use your actions or your suffering to accomplish God’s work in the world today? How should an understanding of Jesus intercession for us affect our lives? What does the writer of Hebrews mean by “hold fast our confession”? Christ is able to “sympathize with our weaknesses” the Second Reading says. Does he completely understand your situation no matter how dense it is? Are you able to understand other people’s weaknesses? Jesus “was tested in every way.” Do you ever remember this when you are being tested and are in need of grace? “ … Since we have a great high priest who has passed through the heavens, Jesus, the Son of God … ” Since Jesus was an authentic human being, do you think he carries with him every member of the human race to the throne of God? Why do you think the disciples were indignant? What was the root of their response? How did Jesus demonstrate being servant and “slave of all”? Jesus told the disciples that the way to rank first is by serving others. What does unselfish service look like in your parish, work, or home? On a larger scale could it change the world? How? “Rather, whoever wishes to be great among you will be your servant …” In this quote from his U. N. address below, where does Pope Francis say the full meaning of individual and collective life is found? Why does Jesus attribute so much importance to the emptying of oneself? 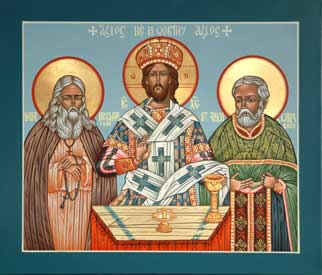 Chriostai Notes for the Twenty-Eighth Sunday in Kingdom Time. 6 Seek the LORD and live, Lest He break out like fire in the house of Joseph, And devour it, With no one to quench it in Bethel- 7 You who turn justice to wormwood, And lay righteousness to rest in the earth!" 10 They hate the one who rebukes in the gate, And they abhor the one who speaks uprightly. 11 Therefore, because you tread down the poor And take grain taxes from him, Though you have built houses of hewn stone, Yet you shall not dwell in them; You have planted pleasant vineyards, But you shall not drink wine from them. 12 For I know your manifold transgressions And your mighty sins: Afflicting the just and taking bribes; Diverting the poor from justice at the gate. 13 Therefore the prudent keep silent at that time, For it is an evil time. 14 Seek good and not evil, That you may live; So the LORD God of hosts will be with you, As you have spoken. 15 Hate evil, love good; Establish justice in the gate. It may be that the LORD God of hosts Will be gracious to the remnant of Joseph. 1. What has Israel done to deserve the Lord's judgment (5:7, 10, 11, 12)? 2. The Lord pleads with Israel in verses 4, 6, 14 and 15. In this context, what would it mean for Israel to seek the Lord? 3. In their complacency and security, Israel failed to grieve over the ruin of their nation (5:6). What should grieve you today about your personal life? What grieves you about your church and your nation? Take time to pray about those things that cause you to grieve. Ask the Lord to help you seek his will in these areas. 12 For the word of God is living and active, sharper than any two-edged sword, piercing to the division of soul and spirit, of joints and marrow, and discerning the thoughts and intentions of the heart. 13 And before him no creature is hidden, but all are open and laid bare to the eyes of him with whom we have to do. What does “the Word of God is living and active” mean to you? Give an example of how God’s Word discerns our thought and intentions. This reading says that “the word of God … is able to discern reflections and thoughts of the heart.” How do you feel about God knowing you better than you know yourself? Do you trust God with such personal things? And would you like to know yourself better? Do motives and attitudes color your decision-making? Are your motives and attitudes in good order, or could they use a re-alignment? 17 And as he was setting out on his journey, a man ran up and knelt before him, and asked him, “Good Teacher, what must I do to inherit eternal life?” 18 And Jesus said to him, “Why do you call me good? No one is good but God alone. 19 You know the commandments: ‘Do not kill, Do not commit adultery, Do not steal, Do not bear false witness, Do not defraud, Honor your father and mother.’” 20 And he said to him, “Teacher, all these I have observed from my youth.” 21 And Jesus looking upon him loved him, and said to him, “You lack one thing; go, sell what you have, and give to the poor, and you will have treasure in heaven; and come, follow me.” 22 At that saying his countenance fell, and he went away sorrowful; for he had great possessions. 23 And Jesus looked around and said to his disciples, “How hard it will be for those who have riches to enter the kingdom of God!” 24 And the disciples were amazed at his words. 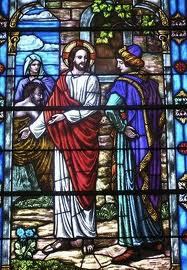 But Jesus said to them again, “Children, how hard it is for those who trust in riches to enter the kingdom of God! 25 It is easier for a camel to go through the eye of a needle than for a rich man to enter the kingdom of God.” 26 And they were exceedingly astonished, and said to him, “Then who can be saved?” 27 Jesus looked at them and said, “With men it is impossible, but not with God; for all things are possible with God.” 28 Peter began to say to him, “Lo, we have left everything and followed you.” 29 Jesus said, “Truly, I say to you, there is no one who has left house or brothers or sisters or mother or father or children or lands, for my sake and for the gospel, 30 who will not receive a hundredfold now in this time, houses and brothers and sisters and mothers and children and lands, with persecutions, and in the age to come eternal life. How would you respond if Jesus issued the same invitation to you? What are some warning signals that would warn us that we are in danger of trusting in money? What motivations do you see for sacrificial living? Are possessions themselves the difficulty, or is clinging to them? Or is it the inner drive to own and accumulate that is the problem? Can the unbridled desire to possess be a stumbling block to world peace or ecological sustainability? How? 18 Then the Lord God said, “It is not good that the man should be alone; I will make him a helper fit for him.” 19 So out of the ground the Lord God formed every beast of the field and every bird of the air, and brought them to the man to see what he would call them; and whatever the man called every living creature, that was its name. 20 The man gave names to all cattle, and to the birds of the air, and to every beast of the field; but for the man there was not found a helper fit for him. 21 So the Lord God caused a deep sleep to fall upon the man, and while he slept took one of his ribs and closed up its place with flesh; 22 and the rib which the Lord God had taken from the man he made into a woman and brought her to the man. 23 Then the man said, “This at last is bone of my bones and flesh of my flesh; she shall be called Woman, because she was taken out of Man.” 24 Therefore a man leaves his father and his mother and cleaves to his wife, and they become one flesh..
How does the Genesis passage help to define loneliness? What does “leaving” one’s parents and “cleaving” to one’s wife mean to you? 3 . In The Little Prince, Antoine de Saint-Exupèry has the fox say that “ … you become responsible, forever, for what you have tamed.” God let Adam, one of us, give each creature its name, which is, in a way, like a taming process. Do we feel responsible for the planet and all the life on it? Do you see any areas in our environment where we are not acting responsibly? Discuss what you can do in your home or place of work to make changes for the better. 4. Do you think the culture from which this story comes values women the same as men? Why or why not? What would you say to a person who thinks the superiority of men over women is divinely revealed in this text? What will you do if the women and men in your work place are not treated as equals? What can we learn about dealing with our mate’s imperfections from Jesus’ example? 3. Jesus consecrated himself to his Father and us along with him. He called us sisters and brothers. How does this influence our reverence toward our brothers and sisters? Do you treat the bag lady with the same respect that you treat the CEO? 13 And they were bringing children to him, that he might touch them; and the disciples rebuked them. 14 But when Jesus saw it he was indignant, and said to them, “Let the children come to me, do not hinder them; for to such belongs the kingdom of God. 15 Truly, I say to you, whoever does not receive the kingdom of God like a child shall not enter it.” 16 And he took them in his arms and blessed them, laying his hands upon them. What did Jesus mean when saying that divorce was allowed by Moses because of their hardness of heart? What are the positive reasons why people should avoid divorce? Describe what you feel should be the Christian’s attitude toward divorce. Toward marriage. How does the quality of our marriage either open the door for our children to come to Jesus, or hinder their coming to Him? 1. Joshua wanted Moses to stop Eldad and Medad's prophesying because they didn't follow the rules. Can you relate to this kind of problem? Is Moses' response in this reading related to Jesus' response in the Gospel? How? 2. Does the Spirit work in religions other than your own? Ever? Always? What might the Spirit be doing in them? Do gifts in other peoples help you to see what God might be doing through them? If the origin of a gift is not clearly from the Spirit, would “By their fruits you shall know them” be a good test? 1 Come now, you rich, weep and howl for the miseries that are coming upon you. 2 Your riches have rotted and your garments are moth-eaten. 3 Your gold and silver have rusted, and their rust will be evidence against you and will eat your flesh like fire. You have laid up treasure for the last days. 4 Behold, the wages of the laborers who mowed your fields, which you kept back by fraud, cry out; and the cries of the harvesters have reached the ears of the Lord of hosts. 5 You have lived on the earth in luxury and in pleasure; you have fattened your hearts in a day of slaughter. 6 You have condemned, you have killed the righteous man; he does not resist you. 1. Wages withheld from the harvesters cry aloud to the Lord of hosts, James says. How does this message apply today to arguments for a federal minimum wage hike or buying Fair Trade coffee? Or beefing up laws that would end human trafficking? 2. James says that the rich in this reading got their wealth at the expense of the poor. How would the harvesters in the reading feel this? How would humane treatment from the rich relate to a living wage? To profound respect? How should we relate to the spiritual success of other Christians? What is the root cause of jealousy, selfishness and greed? 38 John said to him, “Teacher, we saw a man casting out demons in your name, and we forbade him, because he was not following us.” 39 But Jesus said, “Do not forbid him; for no one who does a mighty work in my name will be able soon after to speak evil of me. 40 For he that is not against us is for us. 41 For truly, I say to you, whoever gives you a cup of water to drink because you bear the name of Christ, will by no means lose his reward. 45 And if your foot causes you to sin, cut it off; it is better for you to enter life lame than with two feet to be thrown into hell. … 47 And if your eye causes you to sin, pluck it out; it is better for you to enter the kingdom of God with one eye than with two eyes to be thrown into hell, 48 where their worm does not die, and the fire is not quenched. 1. What was Jesus’ response to the idea that no one outside the inner circle was to minister in his name? Can anyone lay exclusive claim to the reign of God as Jesus revealed it? 2. The good that every person does should be accepted, Pope Francis says below. How far does he go in accepting good works from others? “If he is not one of us, he cannot do good. If he is not of our party, he cannot do good.” And Jesus corrects them: “Do not hinder him, he says, let him do well.” The disciples were a little intolerant, closed off by the idea of possessing the truth, convinced that “those who do not have the truth, cannot do good.” This was wrong. ... Jesus broadens the horizon, reminding us that the Lord created us in His image and likeness and we are the image of the Lord, and He does good and all of us have this commandment at heart: do good and do not do evil. All of us. The objection is swift: “But, Father, this is not Catholic! He cannot do good.” Yes, he can. ... The Lord has redeemed all of us, all of us, with the Blood of Christ: all of us, not just Catholics. Everyone! “Father, the atheists?” Even the atheists. Everyone! We must meet one another doing good. “But I don’t believe, Father, I am an atheist!’ But do good: we will meet one another there. 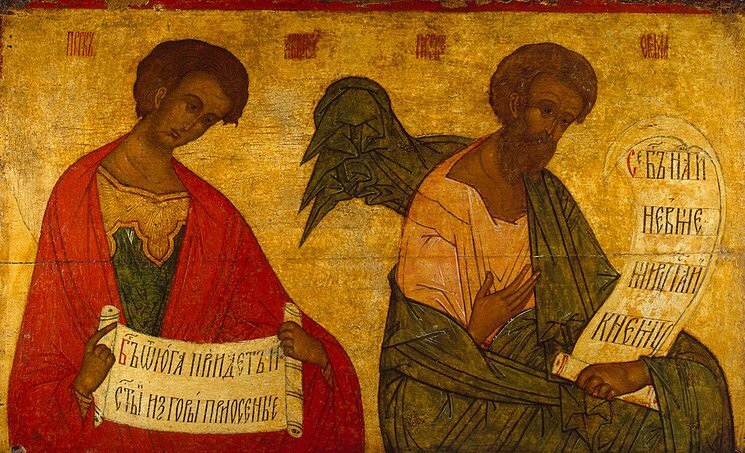 Why were the disciples opposed to the man who was casting out demons? Compare the disciples’ attitude toward this other person who was casting out demons, with the Pharisees attitude toward Jesus’ casting out demons. What does Jesus teach regarding our attitude toward others who serve him? 1. The game show, "Who wants to be a millionaire?" draws a large audience. Would a show called, "Who wants to be wise?" or "Who wants to be godly?" be as popular? Why or why not? 2. Is it enough to listen to and heed wise instruction? Why or why not? If there is more, what more is there? 3. How does this passage attempt to instill a desire to learn wisdom? In what way can you try to instill desire in yourself? In someone else? 4. How does the "fear of Yahweh" affect how you pursue wisdom? 5. What does the image of the "path" communicate to you? Do you usually think of your decisions in terms of choosing a path? Why? or why not? 6. What is the advantage of thinking of your decisions as choosing a "path?" 16 For where jealousy and selfish ambition exist, there will be disorder and every vile practice. 17 But the wisdom from above is first pure, then peaceable, gentle, open to reason, full of mercy and good fruits, without uncertainty or insincerity. 18 And the harvest of righteousness is sown in peace by those who make peace. 4:1 What causes wars, and what causes fightings among you? Is it not your passions that are at war in your members? 2 You desire and do not have; so you kill. And you covet and cannot obtain; so you fight and wage war. You do not have, because you do not ask. 3 You ask and do not receive, because you ask wrongly, to spend it on your passions. 1. Where does ambition for power and greatness lead? What does it do to a country? to a business? 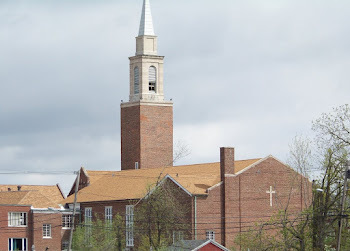 to a Church? Is there a way to cultivate peace? 2. St. James asks, “… where do the conflicts among you come from?” In today’s Gospel the disciples had been arguing and “discussing among themselves on the way who was the greatest.” Do you think their discussion could have ended in anything but conflict? Why? What characteristics of wisdom would you most like to see increased in your life? Why are our prayers sometimes not answered as we would like? 30 They went on from there and passed through Galilee. And he would not have any one know it; 31 for he was teaching his disciples, saying to them, “The Son of man will be delivered into the hands of men, and they will kill him; and when he is killed, after three days he will rise.” 32 But they did not understand the saying, and they were afraid to ask him. 33 And they came to Capernaum; and when he was in the house he asked them, “What were you discussing on the way?” 34 But they were silent; for on the way they had discussed with one another who was the greatest. 1. 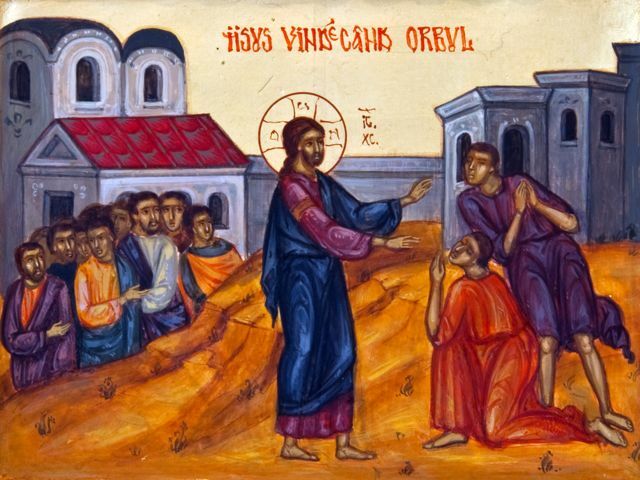 Jesus tells the disciples that in order to rank first they should be the servants of all. Who would you serve if you could? Anyone close to you? Where do you think your parish ranks in taking care of people in need? Where would you rank yourself? 2. According to Pope Francis, how does the person benefit by receiving a child in Jesus’ name? What does he say it does for the child or the one received? Goodness is its own reward and draws us closer to God, who is the Supreme Good. It helps us to think like him, to see our lives in the light of his plan of love for each one of us, and enables us to delight in life’s daily joys, helping us in difficulties and in trials. Why would the disciples be ashamed or afraid to tell Jesus what they were discussing? What point about greatness is Jesus making with the child? - Should we expect peace, rest and an entrance into the promised land, both spiritually and physically? - In a society where our beliefs are interpreted as hate, how we can be seen as merciful more than judgmental? - How will we respond to getting muddy like the OT prophets? - Like God wanted the Israelites to recognize that He should be their focus, we should see Him as our place of rest. - How can God's sacred areas and be a place of rest for the sick, weary and needy, not of condemnation? 5 The Lord GOD has opened my ear, and I was not rebellious, I turned not backward. 6 I gave my back to the smiters, and my cheeks to those who pulled out the beard; I hid not my face from shame and spitting. 7 For the Lord GOD helps me; therefore I have not been confounded; therefore I have set my face like a flint, and I know that I shall not be put to shame; 8 he who vindicates me is near. Who will contend with me? Let us stand up together. Who is my adversary? Let him come near to me. 9 Behold, the Lord GOD helps me; who will declare me guilty? Behold, all of them will wear out like a garment; the moth will eat them up. 1. The words of this reading are those of the famous “Suffering Servant,” in the writings of Isaiah centuries before Christ. How do you think God upheld the rights of this Suffering Servant? Of Jesus? 2. Jesus says, “Whoever wishes to come after me must deny himself.” How does this relate to the words we find in today’s First Reading, “I have set my face like flint, knowing that I shall not be put to shame”? 3. In what way does Isaiah’s prophesy inspire you? 4. How was God’s help manifested to Isaiah? 14 What does it profit, my brethren, if a man says he has faith but has not works? Can his faith save him? 15 If a brother or sister is ill-clad and in lack of daily food, 16 and one of you says to them, “Go in peace, be warmed and filled,” without giving them the things needed for the body, what does it profit? 17 So faith by itself, if it has no works, is dead. 1. The letter of James tells us to serve our neighbor. Do you ever respond to such call? If so, how? With your entire life? In some of your actions? With a few words? 2. Why does Pope Francis say we must have a faith that “engages us”? [T]he Gospels also contain stories of “people who don't know doctrine but have a lot of faith,” such as the Samaritan woman at the well who opened her heart to the Lord because she “met not abstract truth,” but the person of Jesus Christ. This encounter in faith always leads a Christian to move outward toward others. Faith always leads to witness. Faith is a meeting with Jesus Christ, with God, and it is born from that and leads you to witness. Without such fruit, faith is lifeless. A faith without works, a faith that doesn't engage you, that doesn't lead you to witness, isn't faith. It is words, and nothing more than words. 3. What is the relationship between faith and works? 27 And Jesus went on with his disciples, to the villages of Caesarea Philippi; and on the way he asked his disciples, “Who do men say that I am?” 28 And they told him, “John the Baptist; and others say, Elijah; and others one of the prophets.” 29 And he asked them, “But who do you say that I am?” Peter answered him, “You are the Christ.” 30 And he charged them to tell no one about him. 1. Do you want people you love to know you well? Do you think Christ wants you to know him well and personally? He asks the apostles, “Who do you say that I am?” What if he asked that question of you? Do you answer it differently at different times in your life? 2. “The Son of Man must suffer greatly … ” In these words Jesus is telling the apostles what discipleship is all about. How does Peter handle this message? How do you? Can “losing your life” be a means to gaining life? Can you desire to follow him in such a way? 3. What is encompassed in the statement, “You are the Christ”? 5. When has it cost you to follow Christ? 6. How do you respond to Jesus’ challenge in verses 34-35? 4 Say to those who are of a fearful heart, “Be strong, fear not! Behold, your God will come with vengeance, with the recompense of God. He will come and save you.” 5 Then the eyes of the blind shall be opened, and the ears of the deaf unstopped; 6 then shall the lame man leap like a hart, and the tongue of the dumb sing for joy. For waters shall break forth in the wilderness, and streams in the desert; 7 the burning sand shall become a pool, and the thirsty ground springs of water; the haunt of jackals shall become a swamp, the grass shall become reeds and rushes. 1. Will healing abound, and will God also transform all nature? What lines in the reading indicate this? It is an ancient promise, but of a new age. Is this age the coming of Christ? How can you prepare? 2. Isaiah writes about the hope of deliverance from exile. Do you need to be liberated from suffering sometimes? Does this message of hope speak to you? 3. How do you respond to Isaiah’s prophesy? 1 My brethren, show no partiality as you hold the faith of our Lord Jesus Christ, the Lord of glory. 2 For if a man with gold rings and in fine clothing comes into your assembly, and a poor man in shabby clothing also comes in, 3 and you pay attention to the one who wears the fine clothing and say, “Have a seat here, please,” while you say to the poor man, “Stand there,” or, “Sit at my feet,” 4 have you not made distinctions among yourselves, and become judges with evil thoughts? 2. 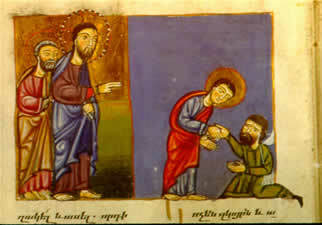 The disabled receive the blessings in the First Reading and the poor are chosen heirs in the Second. How do these readings make you feel about the poverty in your life? 4. What is your conviction regarding partiality when you are the one getting the special treatment? 31 Then he returned from the region of Tyre, and went through Sidon to the Sea of Galilee, through the region of the Decapolis. 32 And they brought to him a man who was deaf and had an impediment in his speech; and they besought him to lay his hand upon him. 33 And taking him aside from the multitude privately, he put his fingers into his ears, and he spat and touched his tongue; 34 and looking up to heaven, he sighed, and said to him, “Ephphatha,” that is, “Be opened.” 35 And his ears were opened, his tongue was released, and he spoke plainly. 36 And he charged them to tell no one; but the more he charged them, the more zealously they proclaimed it. 1. In the Gospel the people relate Jesus’ curing the deaf man to the prophet’s promise in the First Reading, (then will the ears of the deaf be cleared … tongue of the mute will sing … ) What does this miracle of the deaf man say to you about when the reign of God started? 2. How do Pope Francis' two tweets below relate to this Gospel? Discuss possible actions they might inspire. Lord, teach us to step outside ourselves. Teach us to go out into the streets and manifest your love. True charity requires courage: let us overcome the fear of getting our hands dirty, so as to help those in need. 3. How does this passage correspond with Isaiah’s prediction in the first reading? 4. How have you or someone you know experienced a unique healing touch from Jesus? 5. What areas of hearing and speaking would you like the Lord to touch and heal in your life? 6. How do you feel about the presence or absence of the miraculous in your life? 2. Imagine that you are a caretaker of people like a shepherd is for sheep. What can you do about the fear people experience all over the world due to injustice? Are you able to do anything to remedy any of the injustices? Is there anything you can do about unfair situations in your own living area? But now in Christ Jesus you who once were far off have been brought near in the blood of Christ. 14 For he is our peace, who has made us both one, and has broken down the dividing wall of hostility, 15 by abolishing in his flesh the law of commandments and ordinances, that he might create in himself one new man in place of the two, so making peace, 16 and might reconcile us both to God in one body through the cross, thereby bringing the hostility to an end. 17 And he came and preached peace to you who were far off and peace to those who were near; 18 for through him we both have access in one Spirit to the Father. 1. Paul, a Jew preaching to Gentiles, was now a Christian preaching to Jews. There were a lot of barriers or dividing walls as Paul calls them. Discuss dividing walls present today among peoples of different beliefs, races or cultures. 2. Which dividing walls seem most impenetrable to you? Using this reading as a guide, what might people do who would like to resolve their differences or in other words break down walls that divide them? For instance, on June 17th a white man in Charleston, SC, killed nine black people in a Bible study group. The families of the victims forgave the killer. Is this the kind of action that will break down a dividing wall? 2. How did God bring about reconciliation between the Gentiles and Jews? 3. Define reconciliation from this passage. 1. Pope Francis addressed the priests of Rome on the topic of mercy by calling to mind the scene in which Jesus is moved with pity for the vast crowd for they were tired and worn out, like sheep without a shepherd. How does his statement illustrate the line from the Gospel? 2. Pope Francis said that the Gospel “must be proclaimed in poverty,” and that Jesus wanted the disciples to have a “no frills attached” attitude—“no food, no sack, no money in their belts.” How does this kind of detachment help disciples heal the “wounded and oppressed” mentioned below? Mercy means, above all, taking care of wounds. When a person is injured, this is the immediate help they need, not analysis; the special care can follow, but first we need to tend to the open wounds. Pastoral suffering [is] suffering with the people, like a father and a mother suffer for their children, and I would say also with anxiety. 4. How do you respond when you are thrown into a hectic situation? 5. Do you think people appreciate being shepherded? Why, or why not? 7. What have you discovered personally about Jesus’ care? What does it mean to be under authority? 1. Explain the difference between being a prophet and being a witness. 2. How do you feel about rejection? Can you think of any prophet who didn’t experience rejection? They chased Amos out of Bethel. What do you do when you think something needs to be done that makes everyone uncomfortable? What are some situations today that need prophets? Are you willing to take on the job? 3. Amos points out to Amaziah that he was a shepherd and it wasn’t his idea to be a prophet anyway. Are education, occupation, eloquence, talent or intelligence prerequisites for a prophet? Then what is necessary? If you were called to be a prophet, would you be as reluctant as Amos was? 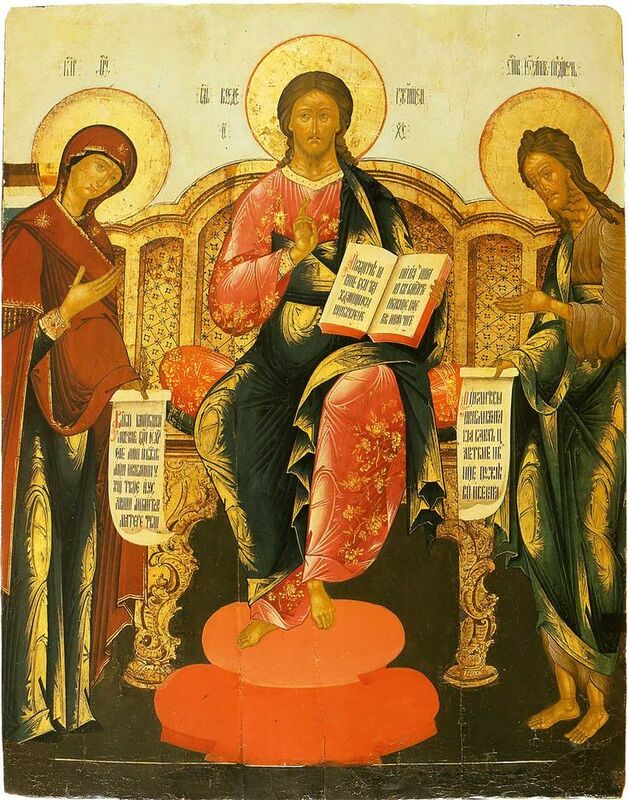 3 Blessed be the God and Father of our Lord Jesus Christ, who has blessed us in Christ with every spiritual blessing in the heavenly places, 4 even as he chose us in him before the foundation of the world, that we should be holy and blameless before him. 5 He destined us in love to be his sons through Jesus Christ, according to the purpose of his will, 6 to the praise of his glorious grace which he freely bestowed on us in the Beloved. 7 In him we have redemption through his blood, the forgiveness of our trespasses, according to the riches of his grace 8 which he lavished upon us. 9 For he has made known to us in all wisdom and insight the mystery of his will, according to his purpose which he set forth in Christ 10 as a plan for the fullness of time, to unite all things in him, things in heaven and things on earth. 11 In him, according to the purpose of him who accomplishes all things according to the counsel of his will, 12we who first hoped in Christ have been destined and appointed to live for the praise of his glory. 13 In him you also, who have heard the word of truth, the gospel of your salvation, and have believed in him, were sealed with the promised Holy Spirit, 14 who is the guarantee of our inheritance until we acquire possession of it, to the praise of his glory. 1. Can you accept St. Paul’s statement that you have been in the mind of God from all eternity before the creation of the world? What is your response? 2. “In him you also … were sealed with the promised Holy Spirit …” Think of ways the Holy Spirit is active in your life, guiding, fixing, enlightening, giving courage. Has God lavished his grace on you, through the Holy Spirit, this year? This week? Today? 3. 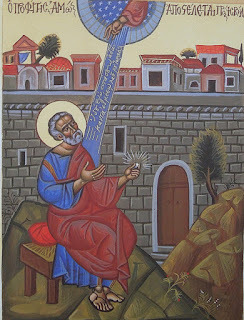 In the Second Reading mark the things that have already been done for us regarding salvation. What new aspect of salvation have you discovered? 4. What is man’s responsibility in salvation according to this passage? 5. What are the purposes of salvation revealed here? 1. “Evangelizing” means to bring the Good News to all humanity, and through its influence to make humanity new, transform it from within. How can you transform humanity around you in your daily life? This is the mission of the Church: the Church that heals, that cares [for people]. I sometimes describe the Church as a field hospital. True, there are many wounded, how many wounded! How many people who need their wounds to be healed! This is the mission of the Church: to heal the wounded hearts, to open doors, to free [people], to say that God is good, God forgives all, that God is our Father, God is tender, that God is always waiting for us. 3. What principles for sharing the Good News do you discover from this passage? 4. What are some advantages of two people partnering in the process of sharing the Good News? 5. Why do you think that Jesus didn’t send more “stuff” with them? How is that applicable to us? What are exercises that we can do to help us be desperate for God, willing to submit us to Him like we saw from Jairus and the woman with the flow of blood. really, any of his sermon series are amazing. Try the Body Shop. It's SOO goooood. 2 And when he spoke to me, the Spirit entered into me and set me upon my feet; and I heard him speaking to me. 3 And he said to me, “Son of man, I send you to the people of Israel, to a nation of rebels, who have rebelled against me; they and their fathers have transgressed against me to this very day. 4 The people also are impudent and stubborn: I send you to them; and you shall say to them, ‘Thus says the Lord GOD.’ 5 And whether they hear or refuse to hear (for they are a rebellious house) they will know that there has been a prophet among them. 1. Different temperaments would respond to this assignment in different ways. How would you have responded? 2. What provision did God make for Ezekiel to fulfill this assignment? 3. Are there prophets in your life? Are you sometimes stubborn and closed about listening to their messages? Why? Why would you reject the person or the message? 4. Do you think the ordinary prophet has great success or runs into opposition most of the time? Have you and/or your ideas ever been rejected when you tried to change something for the better? How do you handle rejection? 7 and to keep me from being too elated by the abundance of revelations, a thorn was given me in the flesh, a messenger of Satan, to harass me, to keep me from being too elated. 8 Three times I besought the Lord about this, that it should leave me; 9 but he said to me, “My grace is sufficient for you, for my power is made perfect in weakness.” I will all the more gladly boast of my weaknesses, that the power of Christ may rest upon me. 10 For the sake of Christ, then, I am content with weaknesses, insults, hardships, persecutions, and calamities; for when I am weak, then I am strong. 1. If you went out shopping for weaknesses or crosses to bear would you pick the ones you already have or would you pick different ones? Why? Do you find God in your weakness? Can it be a constant source of grace? 2. “My grace is sufficient for you.” Do you rely on these words? How often do you bring them out and use them? 3. How have you seen God glorified through someone’s problems and difficulties? 4. What attitude or belief is at the heart of Paul’s contentment? 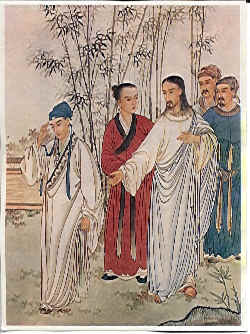 1 He went away from there and came to his own country; and his disciples followed him. 2 And on the sabbath he began to teach in the synagogue; and many who heard him were astonished, saying, “Where did this man get all this? What is the wisdom given to him? What mighty works are wrought by his hands! 3 Is not this the carpenter, the son of Mary and brother of James and Joses and Judas and Simon, and are not his sisters here with us?” And they took offense at him. 4 And Jesus said to them, “A prophet is not without honor, except in his own country, and among his own kin, and in his own house.” 5 And he could do no mighty work there, except that he laid his hands upon a few sick people and healed them. 6And he marveled because of their unbelief. And he went about among the villages teaching. 1. Can you think of theologians, saints, or scientists who were rejected for their ideas? Do you know any prophets today? Where can you find them? What besides immigration and care for the environment might they be trying to change for the better? For what cause could you be a prophet? 2. Do you agree with Pope Francis' description of prophets below: that they are people who keep the promise of God alive, see the suffering of their people, and bring us the strength to look ahead? Lord, let us not lack prophets amongst your people! All those who are baptized are prophets: let us not forget God's promise, let us not tire of moving forward. 5. How do you view the miracles and power of Christ? 6. Why do you think people take offense at Jesus’ words and works? 7. Define skepticism and unbelief. 8. How can we avoid responding to Jesus’ words and works with skepticism and unbelief?